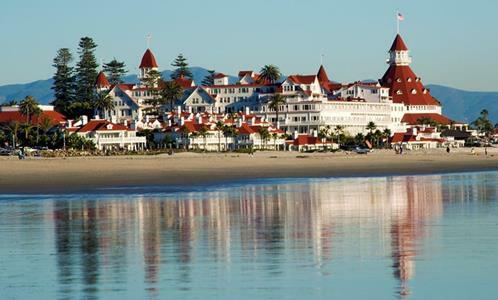 Please join us for the International Insolvency Institute's USA/Canada Regional Program on Thursday, March 14, 2019 from 3:30 - 5:30 p.m. at the Hotel del Coronado in sunny California. Upon conclusion of the programming, delegates and their registered guests are invited to a clambake on the beach, featuring live music from two of bankruptcy's best musicians, George Kelakos and Mitch Ryan. In addition, III Members and NextGen are invited to an afternoon education session and champagne reception honoring American College of Bankruptcy Class 30 Inductees on Friday, March 15th, from 2:15 - 4:15 p.m.
We have great sponsorship opportunities available! Please either contact Robbin Itkin, Robbin.Itkin@dlapiper.com for details or select a sponsorship level when you register. Note: Due to guarantees required by meeting vendors, there will be no refunds for registrations canceled after March 7, 2019.